Where do I even begin with these two? Sena and I connected over Instagram right before I moved to Hawaii. We met in person at church. Then as fate would have it, Andrew and I ended up living in the same town as she and her husband, Eric. Over this past year, these two have become Andrew and I’s closest friends on the island. Sena and Eric exhibit such love, openness, friendship, and honesty. They’ve become the kind of friends you show up unannounced to their home with a bottle of wine in hand and walk on in, completely welcomed and at home. They’ve encouraged and inspired us in more ways than I can count. 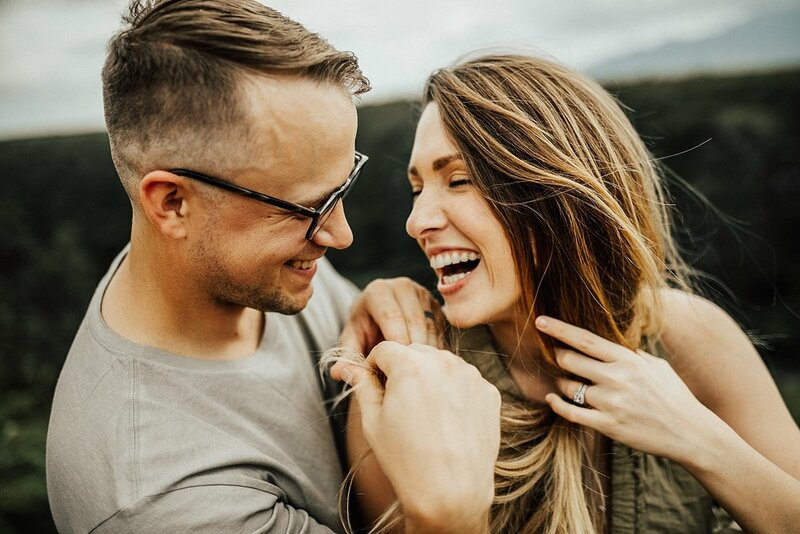 These two have been married for 6 years and have 3 kids – who are the cutest little things EVER – go stalk Sena on instagram right HERE and you’ll see what I mean. You can thank me later for the baby fever you’re about to get. BUT SERIOUSLY, I’m not kidding. Go stalk her. 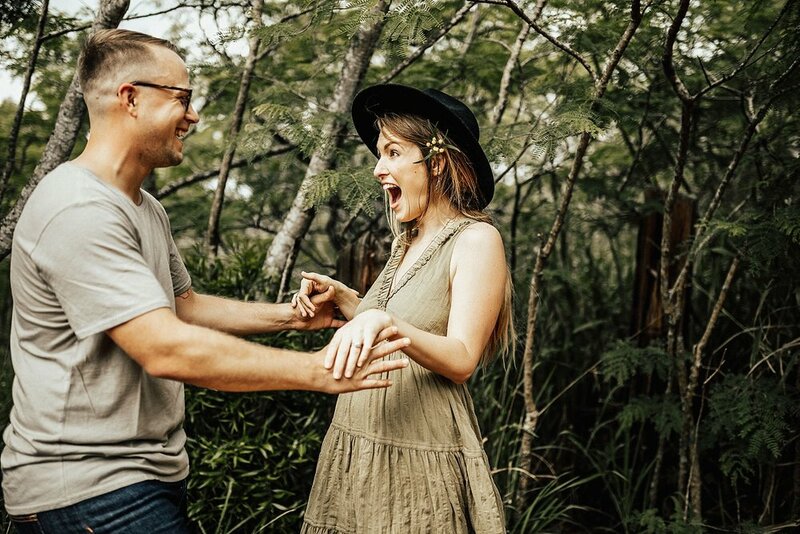 They’ve built the most beautiful little island life for themselves in Hawaii, and their story is pure magic. 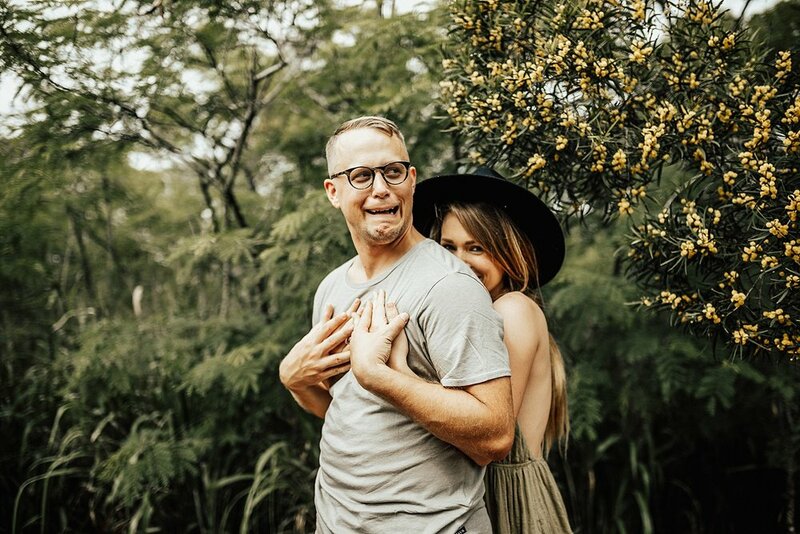 They’ve been married six years, yet still have that wild-hearted spirit you see in couples who’ve just started dating. Sena and Eric met in high school. They were casual friends for a long time. They decided to go on a few dates (3 to be exact), and then Eric deployed for 7 months. (Did I mention he’s in the Navy?) Every day he was gone, they wrote letters back and forth, and the night he came back he proposed to her. They’d only been on 3 dates in person, but hey… when you know- you know!! They secretly eloped a week later, and ever since then they’ve never looked back. Their story reminds me of what I think love should always be. Simple. Not complicated. One day you go on a date, and you just know they’re your end game. It’s beautiful. 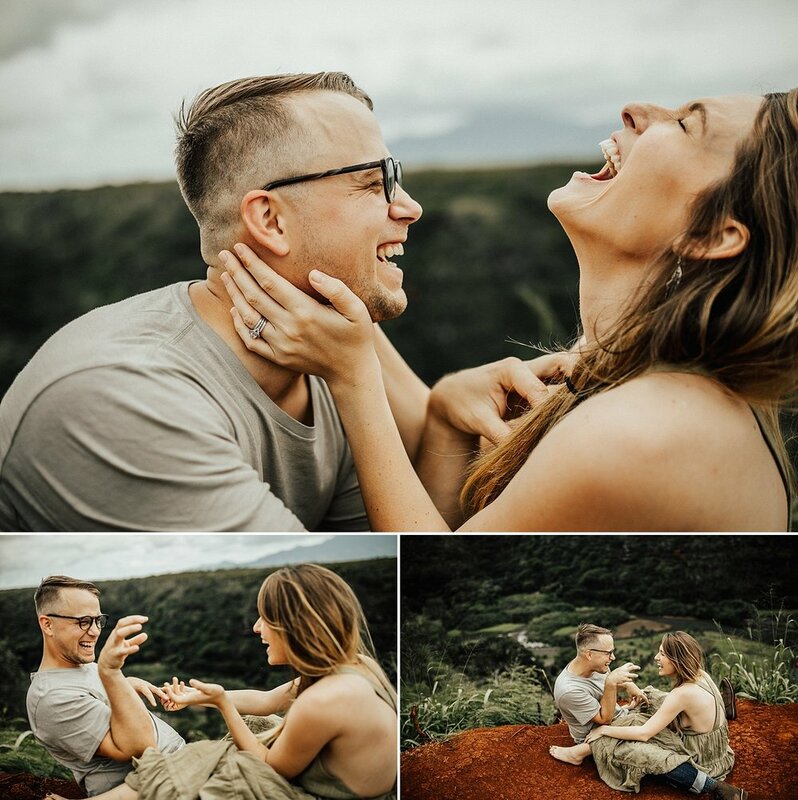 I finally got a chance to get these friends in front of my lens this past spring, and we wandered around on the North Shore near Waimea Bay. My husband watched their littles while we took a Sunday afternoon shoot. Their wedding photos were tragic (Sena’s words, not mine haha), so being able to give these two photos that represented their marriage and what their life looks like now was such a wonderful thing. The surprise of the shoot was Eric, whose silly faces and Austin Powers “tiger baby” impersonation literally stole the show. Keep scrolling to see what I mean. I promise you’ll laugh. Haha.